Pay your electric and trash bill on line at the Borough’s website! 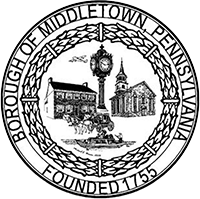 Middletown Borough now offers electric and trash utility customers the convenience of paying 24/7 with online bill pay and a drop box in the parking lot at the rear of Borough Hall. Borough utility bills can also be paid in person during normal business hours with check or credit card.